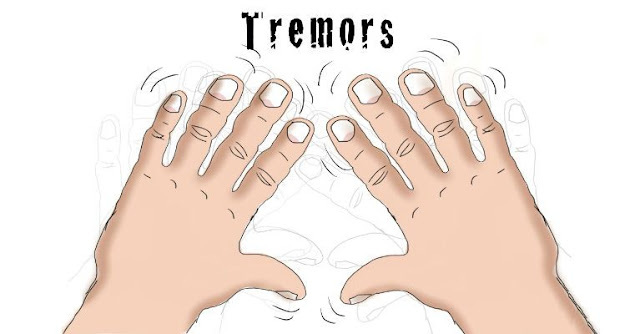 Home » Health » What Is Tremor? Tremor is a shaky movement that occurs repeatedly without accident. Tremors generally occur in the hands and head. But this shaking sensation can also occur in other parts of the body, such as the legs and stomach, even the sound can come trembling. In some cases, tremor complaints are mild enough to require no treatment. However, if the condition is very severe and can not be controlled with the drug, tremors can be treated with brain surgery. Tremor is not life-threatening, but it is very disturbing because its appearance affects daily activities. For example, someone would have difficulty writing, drawing, or grasping things. Tremors are caused by disturbances in the part of the brain that regulate muscle movement. Tremor can occur by itself without any known cause, but in certain cases, tremor appears as one of the symptoms of a disease. Therefore, the appearance of tremors should not be underestimated. Resting tremor . This tremor occurs when the tremor part of the body is in a state of rest, for example when sitting with arms folded or standing with arms hanging. These tremors generally only occur in the hands and on the fingers. Action tremor . This tremor occurs on the part of the body while doing the movement, for example when writing, stretching the arm, lifting heavy objects, or when the fingers pointed at an object. Essential tremors. This is the most common tremor and is a type of tremor action . This tremor initially attacks one side of the body, but can attack both sides of the body on its way. This type of tremor can be mild and stable, but it can worsen and cause a person to have a balance disorder. This tremor is caused by heredity. Psychogenic tremor. These tremors come and stop suddenly, especially when their minds are diverted, moving from one area to another, and the frequency increases with stress. Some people who have psychogenic tremor also have mental disorders. Tremor s erebel um . This tremor occurs because the cerebellum is damaged. The damage can be caused by stroke , tumor, or due to multiple sclerosis . Cerebellar tremors can also be accompanied by speech disorders, nystagmus (involuntary eyeball movement), and balance disorders. Tremor Parkinson's. This tremor appears as part of the symptoms of Parkinson's disease and is a resting tremor . This condition is generally experienced by people aged over 60 years. This tremor appears in one part of the body, then extends over time. The classic movement of this tremor is seen on a finger that looks like counting money. Tremor d i stoni This tremor occurs in people who have dystonia . This condition will usually decrease after a person breaks. Orthostatic tremor. Tremors that appear on the legs as soon as a person stands up and decreases when a person starts lifting a leg, walking, or sitting. Physiological tremor. Tremors that occur in healthy individuals and are invisible to the eye. Physiological tremors can be elevated and seen in situations such as excessive emotions (such as fear and anxiety), physical fatigue, fever, caffeine drinking, hypoglycemia , and hyperthyroidism . In addition, tremors can also occur due to side effects from the use of mercury-containing drugs, some asthma medications, amphetamines , corticosteroids , lithium , and some antidepressants. Physical examination and nerves . This examination is to determine the type, area, and characteristics of the tremor. The doctor may ask the patient to write, hold an object, ask the patient to touch the nose with a finger, draw a spiral and others. Blood and urine tests . Blood and urine tests are for the detection of thyroid hormone function and the level of certain substances that can cause tremors. Scanning . Scanning is done by CT scan or MRI to detect any abnormalities in the brain. EMG (electromyogram) . This test is performed to measure muscle activity and see the muscle response to nerve stimulation. There is no specific treatment for tremor. Treatment has been done aimed to reduce tremor by treating the conditions that cause tremors, according to the doctor's diagnosis. Certain medications . Doctors may provide certain drugs, such as beta blockers , sedatives , or anticonvulsants. Botox injections . At this stage, the doctor will inject. This injection will reduce the intensity of frequent tremor, especially on the face and head. Physiotherapy . This therapy aims to strengthen muscles and reduce tremors. Brain operation . This procedure is only performed on severe tremor and can not be controlled with medication. Exercise lightly, for example lifting the barbell to strengthen the muscles in the wrist. Avoid yourself from the burdensome thoughts so as not to stress. Reducing stress can help reduce the risk of tremors. Reduce consumption of beverages that contain caffeine and increase the consumption of mineral water. Sleep and rest enough, because fatigue can lead to tremors. 0 Response to "What Is Tremor?"